DHS Leadership pose with the results of the annual DHS food drive. The DHS Leadership class has completed the annual Christmas Food Drive for the year. 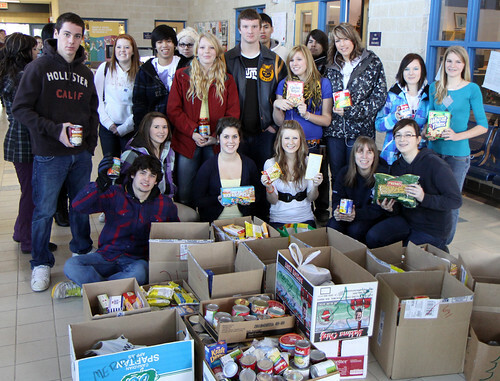 This year students collected food items as part of the “Pay it Forward” food drive that is put on by Riverview School. The food drive was a part of the annual “12 Days of Christmas” activity, with classes earning points based on the amount of food they collected. Other Christmas activities such as dress-up days and door decorating also earned students points towards a class party in the new year. Thanks to all DHS Staff and Students for their genorosity!